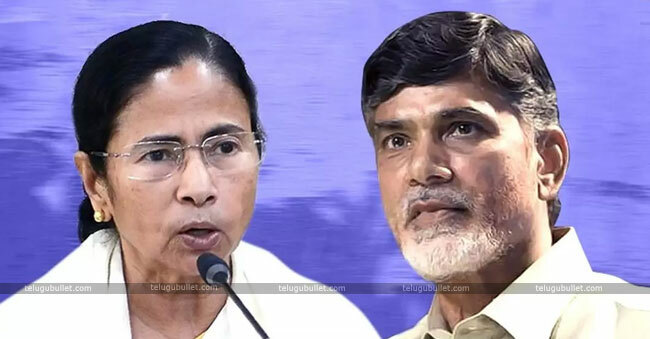 To strengthen the West Bengal CM Mamata Banerjee’s protest against the Central Government, her ally Chandrababu Naidu is all set to meet the dynamic lady leader today in the afternoon. Information from the CM’s office state that the TDP Chief has started his journey to the Kolkata and he will be meeting the Bengal CM around 3:30 PM. Apart from Mamatha, CBN is the strongest leader who is fighting against the Indian Prime Minister Modi and BJP Government at the Centre. CBN is determined to extend his complete support to Mamata only to strengthen the anti-Modi campaign. Speaking to the officials the other day, CBN stated that the BJP in the leadership of Modi started fearing its loss in the upcoming Parliament elections. So it is using its Central Government institutions like CBI to attack his rivals by misusing them. CBN condemned the CBI’s attack on the West Bengal Police Official and declared it as a cheap act of Modi. Mamata will continue her protest by sitting back in the Dharna in Kolkata against the Centre. As the AP CM is meeting her, media is curious to see the new developments in the anti-Modi front camp starting from today. According to the experts, acts like these would create aversion on the BJP within the mindsets of common people prior to the Lok Sabha elections.